Trend Oak Corner TV Unit Oak handles on the drawers. All drawers are dove tailed for strength. There are over 30 items in this range The Trend range has an oil finish showing the grain of this gorgeous oak to it’s full potential. H 600 x W 1040 x D 600mm FREE DELIVERY TO ENGLAND AND WALES. FOR SCOTLAND PLEASE CALL 01492 642224. Trend Standard Oak Plasma Unit Oak handles on the drawers. All drawers are dove tailed for strength. There are over 30 items in this range The Trend range has an oil finish showing the grain of this gorgeous oak to it’s full potential. H360 x W 1200 x D 450mm FREE DELIVERY TO ENGLAND AND WALES. FOR SCOTLAND PLEASE CALL 01492 642224. 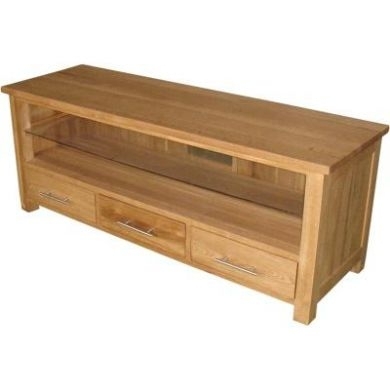 Trend Large Oak Plasma Unit Oak handles on the drawers. All drawers are dove tailed for strength. There are over 30 items in this range The Trend range has an oil finish showing the grain of this gorgeous oak to it’s full potential. H 446 x W 1816 x D 425 mm FREE DELIVERY TO ENGLAND AND WALES. FOR SCOTLAND PLEASE CALL 01492 642224. Trend Oak TV Unit Oak handles on the drawers. All drawers are dove tailed for strength. There are over 30 items in this range The Trend range has an oil finish showing the grain of this gorgeous oak to it’s full potential. H 450 x W 900 x D 560mm FREE DELIVERY TO ENGLAND AND WALES. FOR SCOTLAND PLEASE CALL 01492 642224.